With an increasing number of climate refugees in cities like Dhaka, local and national leaders need to respond with a comprehensive plan of action. Photo by blese/Flickr. In the next 40 years, climate change is expected to cause 150 million people worldwide to leave their homes and migrate elsewhere. According to a report by the Environmental Justice Foundation, this puts 10 percent of the global population at risk of displacement. These climate refugees are likely to relocate because of rising sea levels, water scarcity, desertification and other climate-induced changes to the environment. The International Red Cross estimates that there are more climate refugees than political refugees fleeing from wars and other conflicts. Many migrants end up in nearby large cities, straining local governments and urban infrastructure. Climate refugees have no choice other than to leave their often rural homes, and they currently do not receive any legal protection from international law. While some global conventions, like COP15 in Copenhagen, have pushed climate finance to address the needs of climate refugees in emerging cities, a comprehensive plan that can sustainably support the increasing number of migrants is still lacking. Cities in Bangladesh, for example, frequently experience river flooding and other intense environmental shocks, exacerbating food insecurity and poverty. Having experienced more than 70 climate-related natural disasters in the past decade, Bangladesh is currently the most vulnerable country globally to cyclones and the sixth most vulnerable to floods. Almost 50 percent of the population lives less than 5 meters (16.5 feet) above sea level. Climate hazards—whether incrementally rising sea levels or unanticipated storms—could cause widespread destruction and lead to as many as 20 million climate refugees to cities in Bangladesh and beyond. Most of these climate refugees are migrating into different slums in Dhaka and neighboring urban areas. 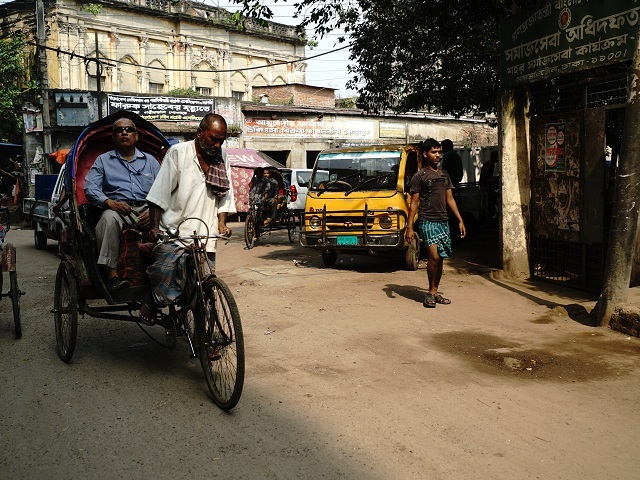 Although most migrants end up in cities in Bangladesh, some of them also travel to India, causing many slums regionally to become overcrowded. It’s estimated that at least 6 million people live throughout Dhaka’s slums, approximately 70 percent of whom moved to Dhaka because of environmental problems in the countryside. Many of these slum dwellers earn less than $1 dollar a day due to a lack of jobs, and education and health resources are inadequate to support all the climate refugees. Furthermore, traffic congestion has grown worse and the city’s waste management system has been strained by the influx. Dhaka and other cities in the region currently do not have the capacity to take in millions of additional migrants and meet all their pressing needs. Despite the recent influx of climate refugees, the national government of Bangladesh has still not given proper attention to the issue through national policy frameworks. In particular, the Bangladesh Climate Change Strategy and Action Plan (BCCSAP) and the National Adaptation Plan of Action (NAPA) lack provisions for accommodating the newcomers. Under the six main pillars of BCCSAP, a total of 30 programs were designed for climate action, but none of them address the issues related specifically to climate refugees. None of the National Climate Change Fund’s US $100 million annual budget goes to projects related to climate refugees, although NAPA uses this fund to encourage projects like coastal reforestation, capacity building, flood shelters, and educational programs to train students about responses to climate change. Furthermore, most studies or reports on climate refugees in Bangladesh come from observers or non-government sources. The policy gap is significant, and national and local decision makers in Bangladesh need to address the issue in order to improve urban resilience and meet migrants’ needs. Immediate action is needed from global, national, and local levels. Advocacy planning—empowering communities to participate in decision making—can be a great instrument for ensuring that the interests of climate refugees are heard. The national government of Bangladesh should provide climate refugees with Khas land—public land intended for impoverished and vulnerable communities—and expand social services in order to meet migrants’ basic needs. At a local level, leaders need to prioritize resettlement plans. These strategic plans can help refugees find safe homes other than the overcrowded slums of Dhaka and neighboring cities. This will not only reduce the burden on local governments, but also allow for job training, better education, community-led natural resource management, and a higher quality of life. Only with coordinated, comprehensive action from local and national leaders can Bangladesh—as well as the region—adequately address the pressing needs of climate refugees and ensure a sustainable future.